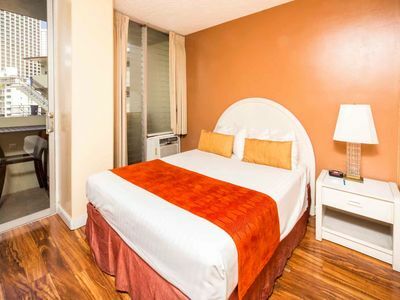 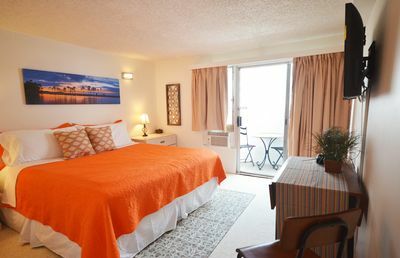 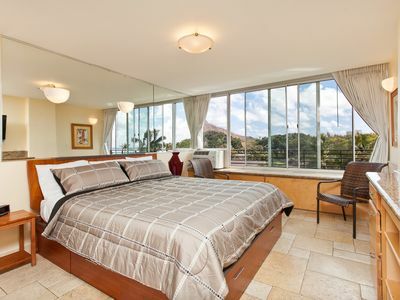 Our spacious one-bedroom ocean view deluxe suites are located on the lower floors 5-17 of the tower with views of Waikiki Beach and the Pacific Ocean. 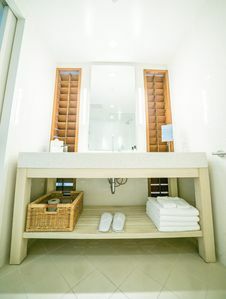 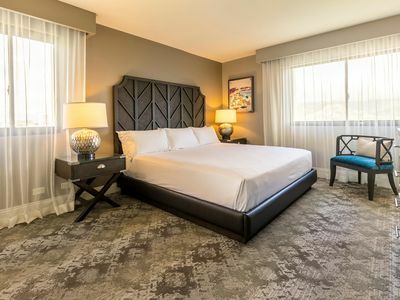 Each suite features a private furnished lanai, central air-conditioning, one bathroom with a freestanding luxury style deep-soaking vessel tub, a fully equipped gourmet kitchen, and in-room washer/dryer. 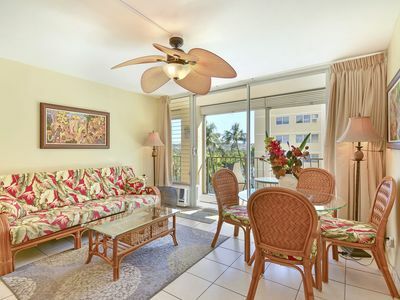 The pictures on this listing are representative of the quality of the unit and it's furnishings. 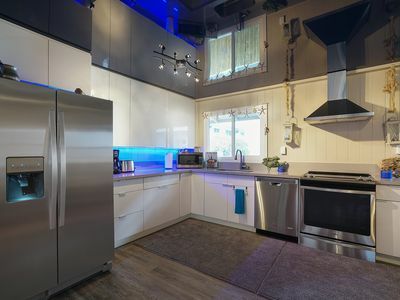 Actual unit is assigned at check. 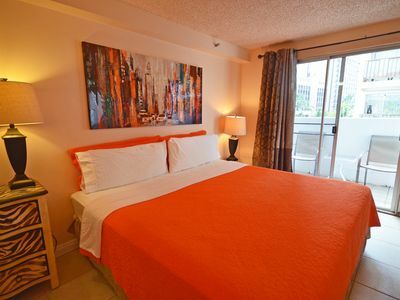 While we cannot guarantee a specific floor, view or location, we will forward your request to the property. 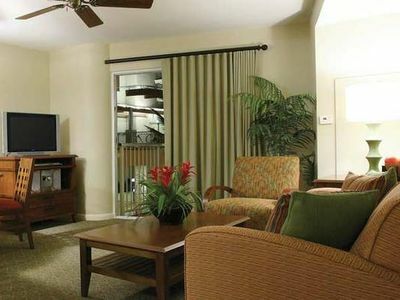 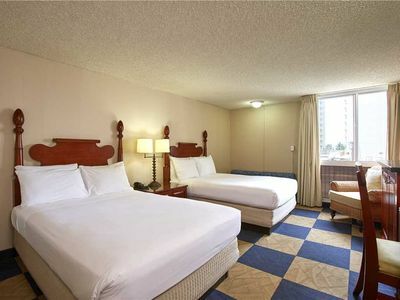 They will try their best to fulfill your request based on availability when you arrive. 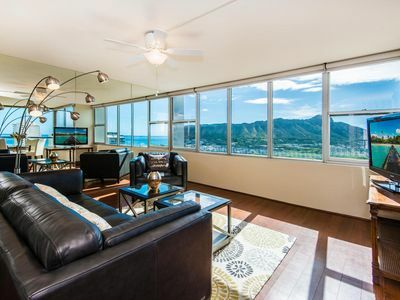 Ocean View Residence views may be partially impacted by neighboring buildings. 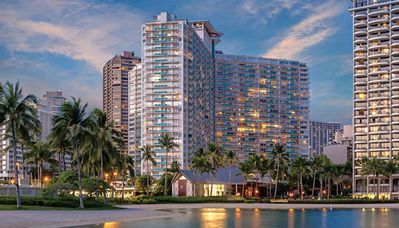 Only One Block To The World Famous Waikiki Beach! 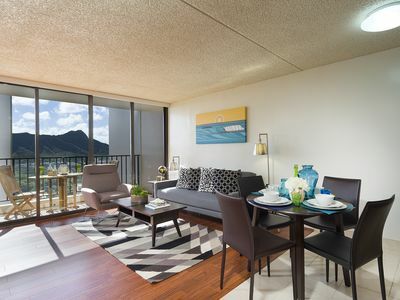 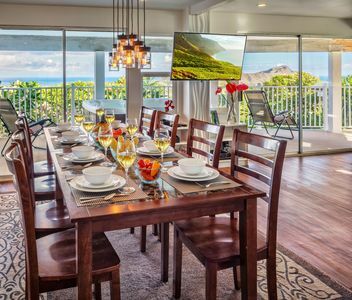 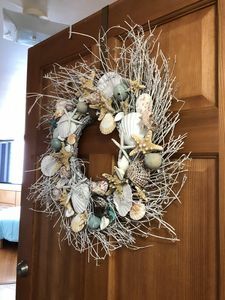 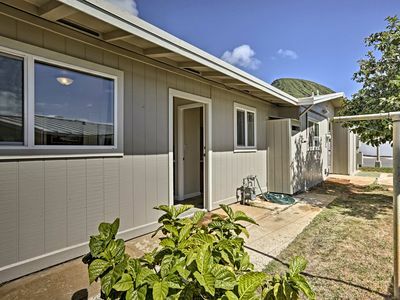 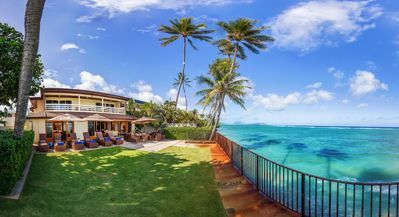 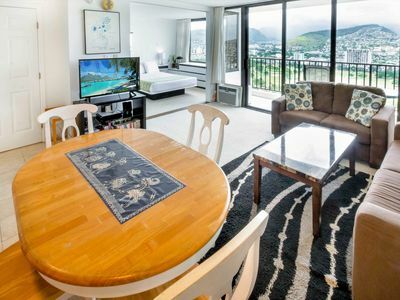 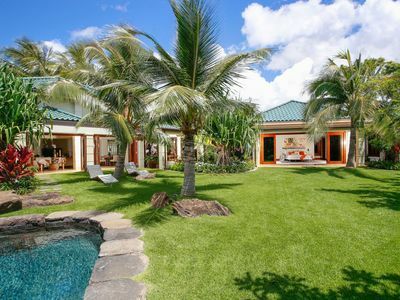 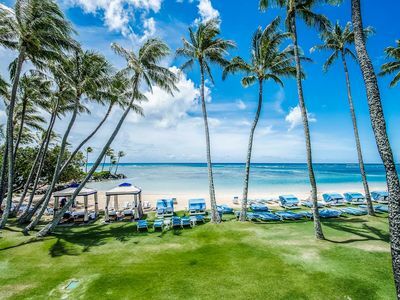 Kahala Kay 2 Bedroom 2 Bath "Oahu"